Every day, Macworld brings you the essential daily news and other info about all things Apple. But staying on top of that torrent of information can be a constant challenge. One solution: the Macworld digital magazine. The February issue of Macworld features the new iPhone XR: Apple’s best iPhone yet. If a tablet is more your style, we also have the review of Apple’s 2018 iPad Pro, which is a fantastic tablet, if not a fantastic laptop. • Working Mac: Your Mac won’t type U, I, O, J, K, L, and M? Here’s why. Check out the responsive view on our platform. While in the issue, swipe to an article page (for example, MacUser) tap the screen to reveal the app menu, go to the bottom menu and tap the viewer icon (first icon from the left). To go back to static view, tap the viewer icon again. Please update to the latest version of our app in the App Store. Our magazine can also be found through a variety of other digital newsstands such as Next Issue, Google Play, Kindle and Nook. 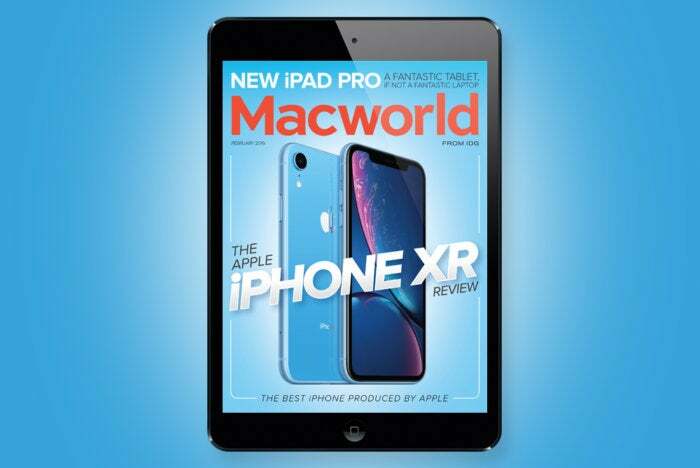 This story, "Macworld's February Digital Magazine: The Apple iPhone XR review" was originally published by Macworld.